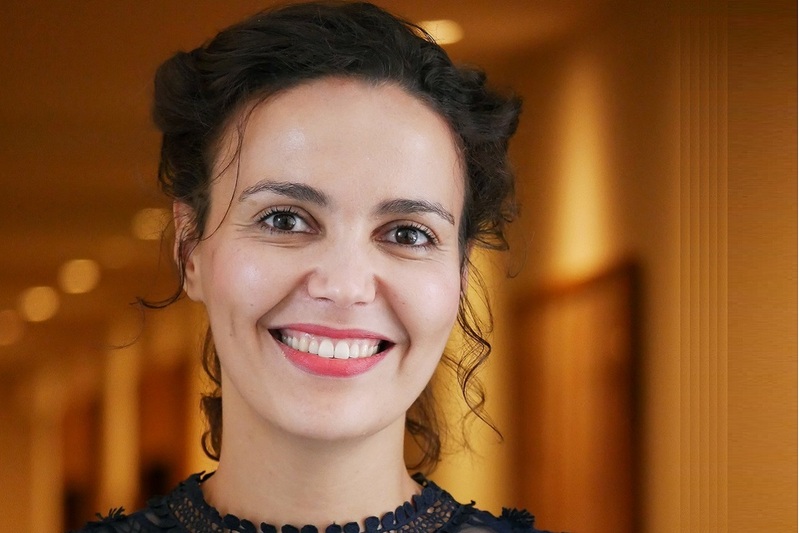 The Center for Data Innovation spoke with Loubna Bouarfa, CEO and founder of OKRA Technologies, a data analytics company based in Cambridge. Loubna discussed how her artificial intelligence platform can be applied to healthcare and social development, using AI to transform data into evidence-based predictions and improve human outcomes through personalized and optimized assessments in real time. Eline Chivot: You started OKRA after researching how AI could predict surgical error and optimize their workflow in real time. What made you realize there was a need for this technology? How does OKRA incorporate this research? Loubna Bouarfa: Currently, the gold standard in the healthcare industry remains clinical trials, which means any treatment or intervention needs to be validated in a strictly designed clinical trial before being launched on the market. The way new surgical procedures are validated means that patients have to go through a strictly designed trial to perform hypothesis testing: an example of a hypothesis is that there is no difference in death rates between patients who took a new oncology treatment versus those who took a standard chemotherapy treatment. In my opinion, such strict framework is underestimating the complexity of real-world conditions. In my view, healthcare is one of those domains where variables are not independent, and many factors can influence the outcome (e.g., psychological conditions, clinician skills) which makes hypothesis testing considerably biased when evaluated under such strict conditions. Therefore, AI could provide a much better, flexible, and much more accurate way to validate medical treatments under real-world conditions. After years in academia, I started OKRA to enable more evidence-based decision making in the real-world environment, where we can embrace uncertainty and move away from strictly designed protocols in the healthcare environment. OKRA applies its AI algorithms to understand treatment responses in a natural human context. We use AI to generate new knowledge about new patients by learning from examples of patients we saw in the past. As a result, our model is not constrained by statistical assumptions and models. By using AI, we can enable healthcare professionals to draw on much wider sets of data in a fraction of the time, which gives them a better grounding in data-driven evidence of what treatments work for a particular patient, given all historical data. Our predictions from the OKRA engine provide a more efficient way to validate treatments that are already in the market and for each individual patient—particularly compared to one-off statistical studies that take a long time and often fail to remain relevant. Using AI is also more cost-efficient. A lot of commonly used, expensive treatments tend to be prescribed to patients but may not be appropriate: some patients would actually respond better to other treatments. Therefore, it is a win-win situation for all healthcare stakeholders: the patient, the healthcare provider, the health authorities, the drug provider and the insurer. OKRA’s system maximizes speed in healthcare decision-making as well as patients’ outcomes, whilst dramatically reducing costs. Wasted healthcare spending is a typical issue in Europe. Health expenditures are high due to aging populations and growing chronic diseases. Costs are rising and they cannot be met by current systems. We use real-world data coming from various sources such as electronic medical records, bio-banks, but also activity and commercial data, such as sales and market data. Our main clients, which are currently pharmaceutical companies, use our technology to identify the treatments that would work best on patients, in terms of treatment response, outcomes, and costs. This helps them identify the right patient population, target their drugs in an efficient way, and communicate better with healthcare providers. In turn, the pharmaceutical industry can improve its products and services. Chivot: What would be a patient’s experience using your technology? Bouarfa: OKRA’s technology can generate personalized insights on an individual patient level, but it is currently aggregated for our clients—the pharmaceutical companies. We are working on versions of the same system they use, but we apply directly to care. This would use a patient’s data and compare it to other patients’ data, to determine a particular patient’s need or risk of being exposed to different types of chronic diseases such as cancer. It prevents the administration of outdated or inappropriate treatments. With this system, the patient identified as being “at risk” would receive a notification, and visit a doctor for a specific health check. In case an issue is detected during these checks, the system identifies which treatments or interventions—among all those available on the market—will be the most appropriate for this particular patient. We would base this assessment on all available the patients’ data sources, which means fellow patients help each other generate more effective treatments. It would also be based on the patient’s demographics, genetic profile (if available), geographical location, etc. The treatment would then be personalized. Not all patients will respond the same way to the same, or most commonly used drugs, so this is a crucial and ongoing shift in medicine. The idea is to create a healthcare system that fully supports its patients, that does not only check us, but also can predict the kinds of diseases we might be exposed to but have not yet contracted, as well as the most appropriate treatment. The system ensures prevention, along with detection and treatment, which is more holistic than current standard treatment systems. Chivot: Can you walk me through an example or pilot of how the technology works in practice? Bouarfa: A good example of how OKRA creates social impact and could be used at scale in the healthcare system is the Placement Stability Predictor tool. We applied this prototype of our software to social care, to allow social care workers to better match children to foster parents. The objective is to identify which family would work the best for a child, as well as how and when intervention is required to avoid placement breakdowns. The system provides a breakdown prediction over a two-month, five-month and one-year period, based on the generation of real-time risk scores and risk drivers. It flags cases of children at risk, situations that likely require the attention and intervention of social workers. Serious cases, flagged in red, include indicators such as: the family failed to end the last placement positively; placement lasts 12 days on average; the first incident with the family typically occurs earlier than when compared to the global average or within the first month of a placement; the family has not completed successful placements up until now or lacks experience. There is then a need for social workers to intervene immediately because of the high probability of early placement disruption. Intervention includes direct communication with the family, additional support, or even sending the child to another family. The Placement Stability Predictor provides for validated, evidence-based intervention, rather than relying on pre-designed protocols or gut feeling. But of course, social workers are still needed, especially in cases where the results from the data are less clear. We aim to scale the usage of this platform to several countries. My goal is to do the same for healthcare in Europe. Imagine if we could apply the system to all the diseases, all conditions, for all patients, in real-time! Chivot: There are obstacles to the wider use of AI in healthcare. One is about the concerns of integrating patient information into the healthcare landscape because of data privacy issues. How is OKRA addressing these concerns? Bouarfa: I am an optimist. With good will and determination, we can drive the use of trustworthy AI in Europe, by deploying it to foster our European values on Human Dignity and Common Good, and to meet our Sustainable Development Goals. By means of collaboration between big and small companies we can alleviate these concerns and ensure trust through evidence, raising awareness and consciously developing our technology for good. There are regulatory barriers in healthcare, which is expected given that patients’ lives are at stake. I know many innovations and the use of AI are subjected to suspicion and skepticism, but if we communicate better we can eventually foster the adoption and use of these new, much needed technologies. All technologies can be used for good and bad, I do not believe it is an option to ignore them completely. We should align AI to our values. Resources are decreasing, while the population is increasing and getting older. We do have to act now. Chivot: What aspect of healthcare do you expect widespread adoption of AI will transform the most in the next 5 or 10 years? Bouarfa: I expect there will be a lot of collaboration between stakeholders in healthcare, the private sector, regulatory authorities, and most importantly between large and small firms—for example between big pharma, big tech companies, and innovative small companies like OKRA—to scale innovation and implementation much quicker. Change, and the improvement of outcomes will happen through more interaction and collaboration, trusted partnerships. Treatments and interventions will be more precisely validated, outcomes will be tracked more efficiently, and treatments will be targeted more accurately to more various conditions. I do see a shift to personalized medicine through scaling AI technology, which will be partly motivated by rising pressures to achieve cost-efficiency. In addition, many more healthcare systems are ready to invest in the value of treatments rather than in volume. Taking all these ingredients together, this big shift will happen.